By 2050, the world population is expected to reach nine billion. And the challenge of feeding this rapidly growing population is being made greater by climate change, which will increasingly wreak havoc on the way we produce our food. At the same time, we have lost touch with the soil—few of us know where our food comes from, let alone how to grow it—and we are at the mercy of multinational corporations who control the crops and give little thought to the damage their methods are inflicting on the planet. Our very future is at risk. 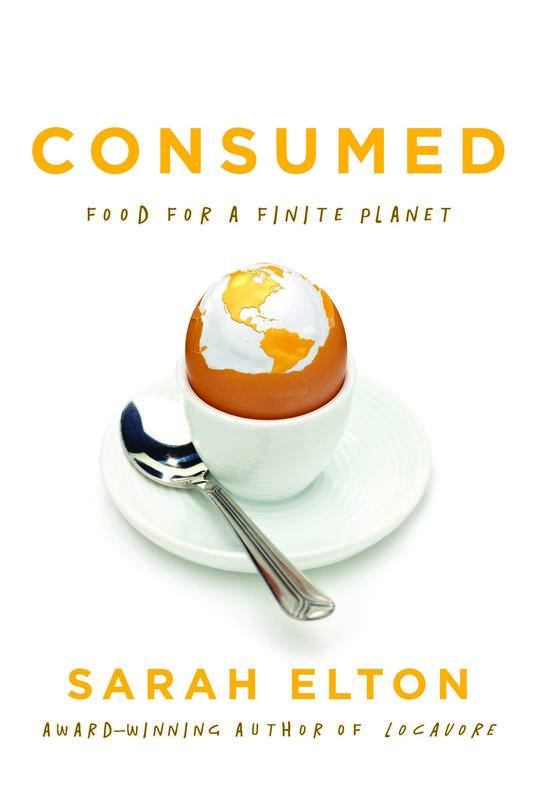 In Consumed, Sarah Elton walks fields and farms on three continents, not only investigating the very real threats to our food, but also telling the little-known stories of the people who are working against time to create a new and hopeful future. From the mountains of southern France to the highlands of China, from the crowded streets of Nairobi to the banks of the St. Lawrence River in Quebec, we meet people from all walks of life who are putting together an alternative to the omnipresent industrial food system. In the arid fields of rural India we meet a farmer who has transformed her community by selling organic food directly to her neighbors. We visit a laboratory in Toronto where scientists are breeding a new kind of rice seed that they claim will feed the world. We learn about Italy’s underground food movement; how university grads are returning to the fields in China, Greece, and France; and how in Detroit, plots of vacant land planted with kale and carrots can help us see what’s possible. Food might be the problem, but as Elton shows, it is also the solution. The food system as we know it was assembled in a few decades—and if it can be built that quickly, it can be reassembled and improved in the same amount of time. Elton here lays out the targets we need to meet by the year 2050. The stories she tells give us hope for avoiding a daunting fate and instead help us to believe in a not-too-distant future when we can all sit at the table. But Who Will Grow Our Food? Chapter 12: The Terrorists to the Rescue!